Having fewer things in your home can make you feel more relaxed when you are there. 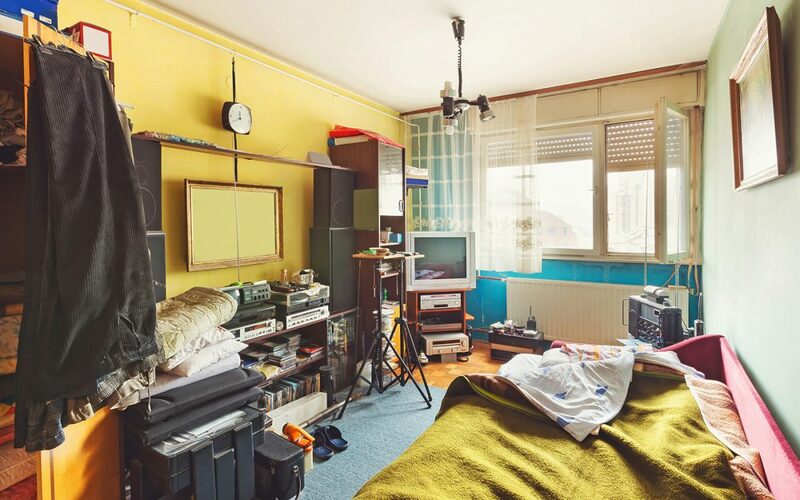 Clutter makes it hard to get around your house and find what you need. When you are ready to begin decluttering your home so you can live in a more enjoyable space, follow these tips. The first step of decluttering is focusing on one small area and taking everything out so you can see what is there. It may seem like you are making an even bigger mess, but starting with a blank canvas makes it easier to reorganize the area. Put what you want to keep back into the storage space in a neat and organized way so that it’s easy to find. Make an area to put trash and other items that you want to donate. Whether you have two can openers or three vacuum cleaners, it can be easy to accumulate too much stuff when you have multiples. For any repeat items you have, keep the one that works or looks best and throw away or donate the others. Excess items aren’t needed and will only take up more space in your home. You should also toss anything that is broken, damaged, or hasn’t been used in the last year. Piles of paperwork in offices or on the kitchen countertop clutter the area and can lead to you losing important papers. If you don’t want to deal with a filing cabinet, start storing documents digitally by scanning them and shredding them afterward. Once you get into this habit, you can have important papers at your fingertips without taking up any space in the room. You can also take photos with your phone of receipts that you need to save. If each item that you own doesn’t have a home, then you can expect everything to eventually become cluttered and disorganized again in the future. You’ll need to find a place for everything so that you know where to store it after it’s been used. Group like items together to make them easy to find. You can also use labels on storage containers for smaller items. Many people store too many items in their home that are not used on a frequent basis. Consider storing more items in your garage or a storage shed on your property to free up extra space in your home. Storage containers are useful for organizing your belongings and can be stacked to use less floor space. Consider using clear storage containers to make everything easier to find. Veriguard Home Inspections provides home inspection services to Northern New Jersey. Contact us to schedule an inspection.